Our name – phonetically ‘Jook Sing’ – is a play on a local slang term for Chinese people who have culturally different backgrounds – the ones who are trapped between two distinctive and frequently dichotomous societies. 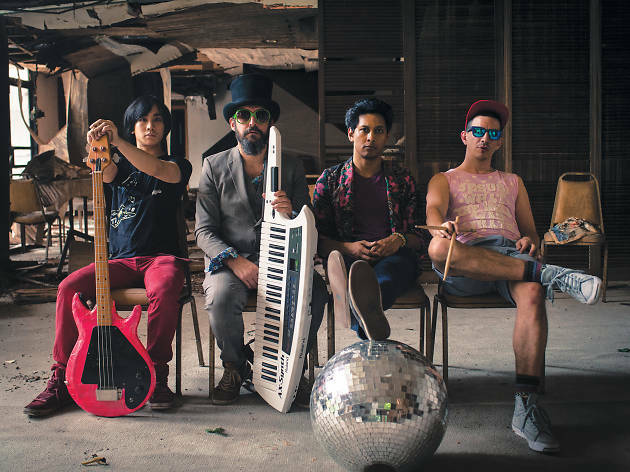 Bamboo Star was formed by Australian-Hongkonger frontman vocalist Wilfred Chung (aka Wolf Red) and Canadian-Hong Konger Terence Ng on lead guitar. 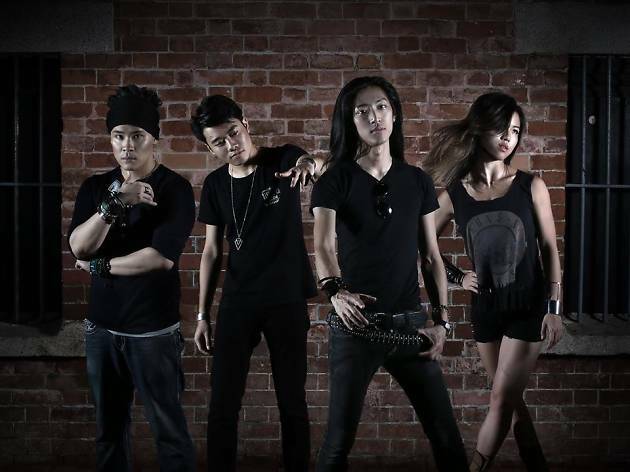 Together with hyper-animated drumming animal Lawrence Wong and YouTube personality Jasmine Wong (aka Deppwaswho) on the bass, the four of us create a blend of heavy rock, pop punk, prog metal and funk. Lyrically, the songs are written in our two native languages, English and Cantonese. It’s surreal for us that next month, we’ll be in the studio recording with Bob Marlette, a producer who has worked with our musical heroes. He’s a US industry giant who has worked with the founders of metal itself, Black Sabbath; as well as Alice Cooper and Sebastian Bach, of Skid Row, both of who have had a huge impact on me as a singer. Our drummer and guitarist are die-hard progressive metal guys, so you’ll hear hints of Periphery and Dream Theatre in the instrumentals. Jasmine, our bassist, has funk-rock roots so the songs from the upcoming album will definitely have a very chewy, Red Hot Chili Peppers-style groove! As for the writing, I’m usually inspired by own internal struggles, socio-political observations or personal relationships. Sometimes specific scenarios trigger them, but as songwriters, we’re also storytellers, so I force myself to distill and abstract the situation down to the emotions that others might also experience. What exactly is the sentiment here and how can a listener feel what I feel? For me, this writing process in itself is therapeutic. You recently signed to Vertusent Music Group, an amazing achievement considering you’re only the second Hong Kong band ever to sign with a US label. Tell us about how that came about. It must be a huge vindication for the work you guys have put in since you formed? They listened to our first album, Broken Hearts and Bleeding Parts, and it was through those songs we connected. We really believe that good music can unite people, regardless of race, nationality or geography. We've been working hard in the Hong Kong scene for six years now, with some traction in South East Asia and even in some parts of Canada. I’d say the feeling isn’t quite vindication but rather gratefulness. More than anything, you realise just how much work there is still to be done, so the main feeling is DRIVE! Our new album will be released in spring next year. We are Bob Marlette’s first Asian band! We’re excited to be taking a Hong Kong musical creation overseas. For the first time, two of our songs will even have a special Hong Kong release, which will be in Cantonese. Kickstarter backers have an opportunity to order limited edition copies of the album and other products such as vinyls, T-shirts and sunglasses, as well as some exclusive activities with the band (kickboxing session, anyone?). We’ve also opened up rare opportunities to do music collaborations with us. These limited edition items and experiences will no longer be available after the Kickstarter campaign ends. You can find out more here or simply search Bamboo Star over on kickstarter.com. If someone wanted to get into Bamboo Star, what song should they start with and where can they hear it? If you need a song to get you pumped-up to take on anything, the most popular song from our last album is Breaking Limits. For a more mellow day when you want a song to reminisce about a long lost love, try Believe in our Memory. You can find us on Spotify, iTunes, Apple Music, KKBox and all major music platforms. And when’s the next time we can catch you live? Our album launch event is going to be held around the time of our spring 2018 launch, to be held at the Hong Kong Fringe Club. You can actually book your ticket for this at – you guessed it – our Kickstarter page! 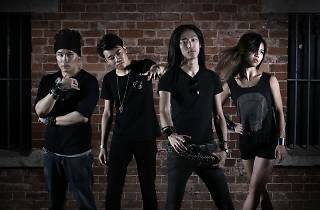 Looking for other great Hong Kong bands?